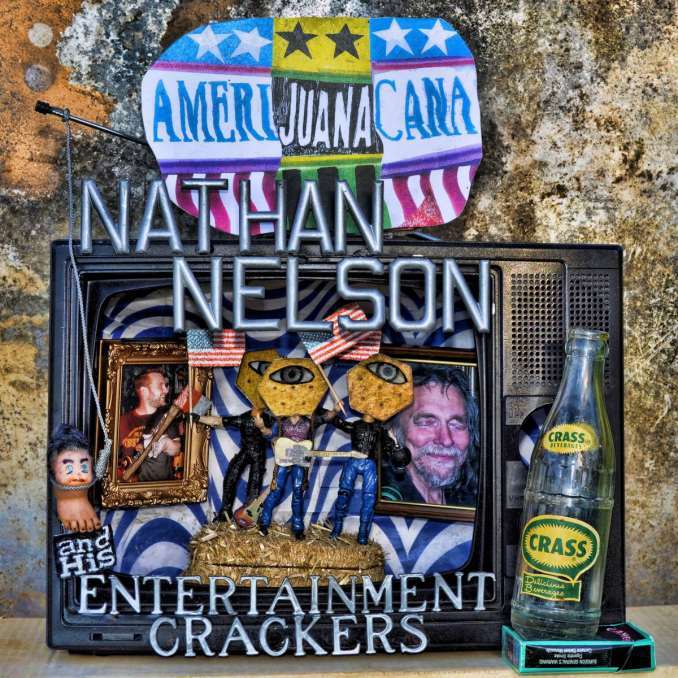 Nathan Nelson and His Entertainment Crackers to release their Spectra Music Group debut album "Amerijuanacana" on Friday, February 8th, 2018. Now available for pre-order, reserve your copy today! ATLANTA - Feb. 7, 2019 - PRLog -- Nathan Nelson and His Entertainment Crackers to release their Spectra Music Group debut album "Amerijuanacana" on Friday, February 8th, 2018. Now available for pre-order, reserve your copy today! Nathan Nelson emerged onto the Atlanta Blues scene in the early 2000's. With his rich southern vocals and deeply soulful playing style, Nathan quickly became an artist that audiences sought out and local musicians were eager to collaborate with. Established players such as Bill Sheffield, Donnie Mccormick (Eric Quincy Tate), Oliver Wood (The Wood Brothers) and Blackberry Smoke, embraced Nathan as one of their own and he became a fixture at many blues venues all over Georgia. In late 2007, Nathan connected with Dave Ross and Andy Tomko who are transplants from Florida and Pennsylvania, respectively. However, with Dave's swampy bass licks and Andy's subtle yet punchy percussion, you would swear that these three musicians grew up playing on back porches by moonlight their entire lives. And so it was that The Entertainment Crackers were born. In a few short months, The Crackers culminated a signature sound that enriched classic blues standards and spawned original songs that audiences have grown to know and love. Nelson's lyrical style gives listeners an unfiltered view of his perspective of the world. Whether it's humor or heartache, Nathan Nelson and The Entertainment Crackers' songs tell it to you straight. Amerijuanacana transcends labels and exists as a singular work of honest songwriting. With a timeless blues aesthetic, well crafted story telling and a vocal style that is un-paralleled, Nathan Nelson and his Entertainment Crackers continue to write their chapter onto the pages of Southern music.